As narrator Dr. Jobe Martin explains to us, he was once an evolutionist. He became a creationist when, as a professor at a dental college, he gave a lecture on the evolution of the tooth – teaching that fish scales eventually migrated into the mouth and became teeth – and was challenged by a couple of his students to investigate creation science. He’d never heard of it, but was willing to take a look. And the closer he looked the more he realized that much of the evolution he believed in was based on assumptions. …the bombardier beetle repels attackers by shooting a fiery liquid out of its rear end? …the giraffe’s heart is strong enough to pump blood all the way up to its head? But what happens when it lowers that head to take a drink? The same strong stream of oxygenated blood will now be traveling with enough pressure to blow out its brain…except for the shut off valves in its neck that kick in when it dips its head. …the woodpecker has a barbed gluey tongue that sticks to bugs but doesn’t stick to its own beak? And it has a skull that is designed to do the work of a jackhammer without giving the poor fellow a headache. My preschool daughters were amazed, and while this is a video primarily intended for children, my wife and I were also engaged. We were floored by just how creative God is. It is good family viewing, with enough pictures and film footage to keep the attention of the very young, and for parents, a narrative that highlights just God’s sense of fun and genius. This might not be a good one to hand to any hardened evolution-believing folk you might know. It is just a children’s video – it isn’t meant to offer an overly detailed or complete argument against evolution, and hardened critics will seize on that lack of depth to dismiss it entirely. So get it for your own family, or your Christian school. 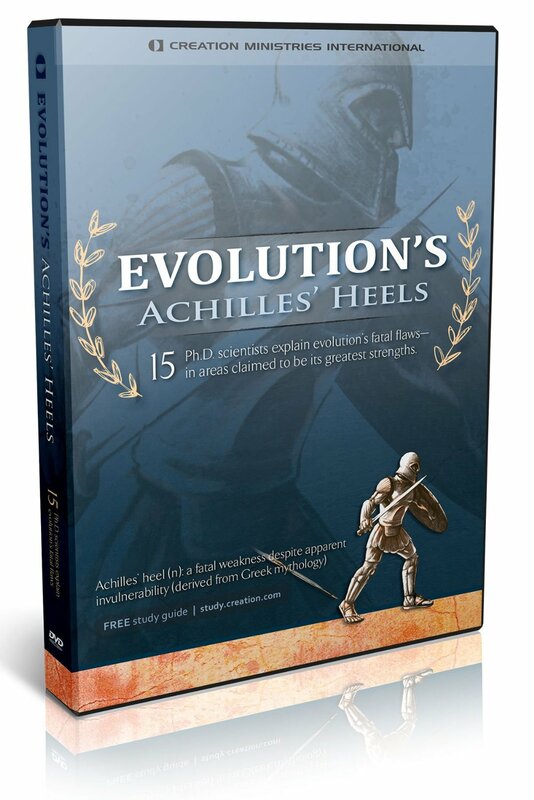 And if you know someone dead-set on evolution, then consider Evolution’s Achilles’ Heels and its more adult anti-evolutionary argument. I review it here. This review originally appeared on ReelConservative.com. Thirty-four years ago Washington State’s Mount St. Helens blew its top. The eruption on the morning of May 18, 1980, knocked 1,300 feet off the top of the mountain, sending a massive landslide down its slope, clearing out a forest of trees, and washing out the lake at its base. For nine straight hours it put out the energy equivalent of about one Hiroshima-type atomic bomb every second. The sheer power of this eruption makes it interesting, but this event is of particular interest to creation scientists like Dr. Steve Austin. The eruption scoured the area clean, but also lay down layers and layers of rock strata from the volcanic ash. The eruption also caused the creation of deep, new, instantaneous canyons, that – if we didn’t know better – looked to be many thousands of years old. In other words, the Mount St. Helens eruptions showed that catastrophic events can rapidly create huge geological features. Dr. Austin shows how this has implications for the Flood, showing how it too could have rapidly laid down many layers of rock strata, and carved out even huge features, like the Grand Canyon. Just because its massive does not mean it took long to form! I gave this a 7/10 rating, because it is well done, but I do want to note that if you aren’t already interested in this subject matter, this isn’t the sort of documentary that will just grab you. There is clearly a professional behind the camera, but overall the visuals are pretty tame (no computer graphics and no visualization of the actual eruption). So this is one you get for the fascinating information. The DVD can be ordered at AnswersInGenesis.org and Creation.com or at FloodGeologySeries.com. This post was originally published on www.ReelConservative.com. I should add that while mention is made of an Intelligent Designer, He is never specifically named as the God of the Bible. That is disappointing, but every Christian watching this will most certainly give God glory. I can’t recommend it enough – this is a amazing look at some seemingly simple but incredibly complex creatures. the starlings with how thousands of them can come together in giant, flexing, living clouds – we watched this section repeatedly, rewinding and then rewinding again! the arctic terns in how they can migrate from one end of the planet to the other every year over vast tracts of featureless ocean. the hummingbird with how its tongue works – it folds out! (See the video clip below). While the hour-long film did tax the interest of my daughter – half way through she returned to her Lego – the next day she was asking to see the rest of it. The impressive computer graphics, and the continuous close-up, slow-motion, and wide-angle shots make this a visual feast. It is intended for adults, but suitable for, and enthralling for, children too – unlike some nature documentaries, this has no violence (no predator and prey shots) so it really is child-friendly. So whether three or one hundred and three, I really can’t imagine anyone not loving this. It would make a great video for any school, church library, or nature-loving kid’s (or dad’s) Christmas stocking. 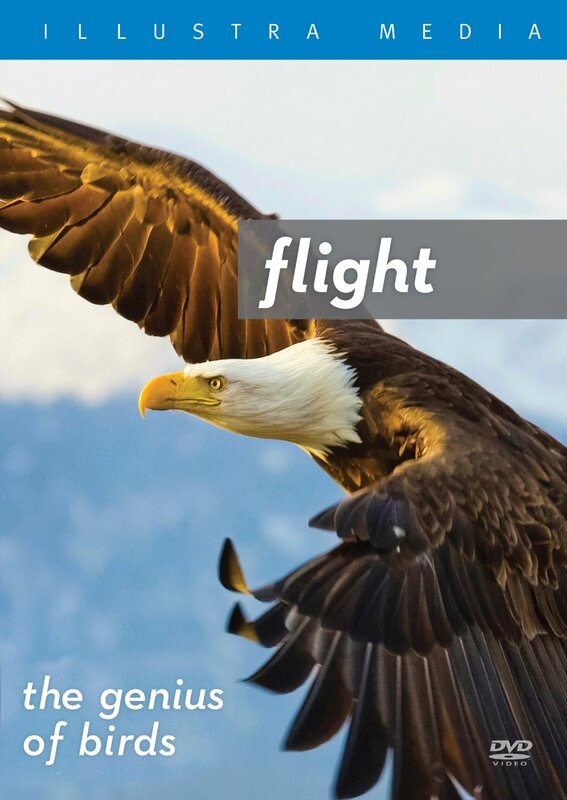 I will note one caution of sorts: the thesis of Flight is that the intricacies involved in birds’ ability to fly gives evidence of a Designer. But the producers don’t specifically name the Designer; they don’t specifically give God the credit He is due. However what the producers don’t do, viewers are sure to – you can’t watch this without praising God! This review was first posted to www.reelconservative.com where you can find more like it. I’ve watched this at least 5 times now, and many sections many more times than that. This is the best, most succinct, most content-dense, anti-evolution presentation I’ve ever seen! That said, my first go-through didn’t leave me all that impressed. I was watching it while doing some paperwork, not giving it my full attention, and what I saw just seemed to be a bunch of interviews, lots of talking heads. It didn’t seem all that interesting. But when I gave it another go and actually paid attention…. Whoah! What the folks at Creation Ministries International have done here is, in one hour and a half presentation, boiled down all their very best arguments into the shortest possible form. That’s why I’ve watched it so many times already – I had to keep stopping, rewinding, and then listening to sections again, because so much of what these interviewees say in just a sentence or two is something that others have written articles and even whole books on. At first listen, this struck me as a great turn of a phrase, and it certainly is. But let’s hit the pause button and just think about all that’s being said here in just this one line. Survival of the fittest (AKA natural selection) is supposed to explain how species adapt and change: those with advantageous mutations will prosper, while those without will eventually die off. But survival of the fittest is a selective process – it picks the best out of the group. How then, does it work before there is a group to pick the best and brightest from? Natural selection is a key mechanism for evolution, but it doesn’t offer any explanation for how animals come to be in the first place! This one, short, ever so quotable line, points out a gigantic problem with evolutionary theory. I really can’t say enough nice things about it: from beginning to end this is brilliant, and as good an introduction to the problems with Evolutionary theory as you will ever find. The Dove foundation said, “If we could award Evolution’s Achilles’ Heels more than five Doves, our best rating, we would!” and I echo the sentiment. You can rent it for online viewing at just $5 by clicking here or buy it on DVD or Blu-ray at Creation.com. There is also a book, of the same title, that would be of interest to anyone who wants to dig further into this material – you can find that at Creation.com too.